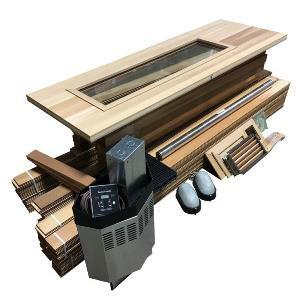 Much debate exists on the advantage of infrared sauna heaters versus electric sauna heaters, and unfortunately most is BS! Infrared is a relatively new technology and as such seem to be the current trend. However, caution is advised when reading "heavy" marketing material found on the internet. We advise customers to try both before they make any decision not base a decision on some paid "Doctors" report found on a website. 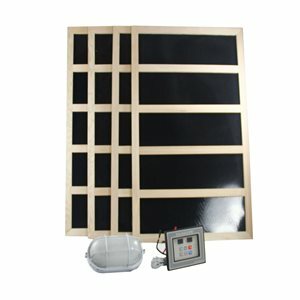 Infrared sauna heaters - uses a wave length similar to a light wave (not far off from a micro wave) this wave penetrates the skin slightly warming the body. Because it is a light wave it does not heat the surrounding air very much. 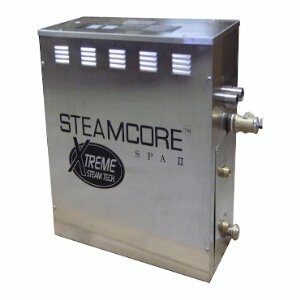 The advantage of IR heaters is they can often cause the body to sweat at a lower air temperature. 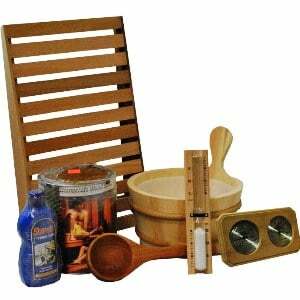 However, most Infrared saunas are not meant to be used with water and as such the humidity is much dryer. To some users this is preferred but traditional sauna bathers loathe at the low temperature and lack of steam (loyle). 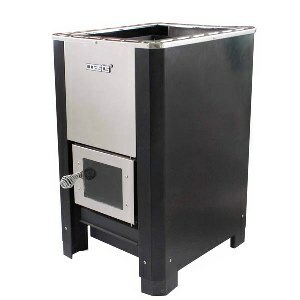 Electric sauna heaters- These use convection heat to heat the surrounding air which thereby heats the body. 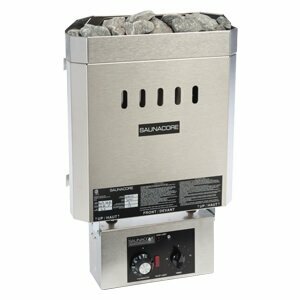 These heaters allow water to be added to the sauna rocks to increase the humidity in the sauna which helps open up the pores and causes the body to sweat. Despite hotel myths, all electric saunas are designed to have water added to the rocks. There is simply no truth to the health benefits of one versus the other, both make you sweat and that simply is the benefit of all saunas. Whether you prefer hot and humid or a dryer cooler temperature is the major decision, and this is personal preference. Chose a sauna heater based on preference, and be sure you have tried both before you make a large financial investment!